Ever wondered what life was like for an average Bulgarian family during communism? In The Red Flat, an interactive and immersive exhibition in an authentic socialist-era apartment in central Sofia, you can do just that. The Red Flat’s front door might just as well be a time portal to the 1980s. As you enter the apartment, you’re instantly teleported to the private world of the Petrovi family for an audio-guided, true-to-life journey back in time. Locked in between the Carpathian and Balkan Mountains, the Iron Gates and Timok Valley regions ought to rank among Serbia’s cultural and natural highlights. The branching tributaries of the Timok River irrigate the hillsides as they flow north towards the Danube, merging into one and briefly forming Serbia’s border with Bulgaria. And to the west, the mighty cliffs of the Danube’s scenic Iron Gates gorge overlook the Romanian bank of Central Europe’s iconic river. This fertile borderland has been inhabited for millennia, and prehistoric sculptors have left their mark on the country jut as much as Roman emperors, medieval overlords or even 18th-century wine merchants. From what might be the oldest urban settlement in Europe to peculiar but merry wine cellars, kashkaval tourist presents 7 sensational sites in eastern Serbia! Whether you’re arriving from the west from Belgrade or the east on the winding road along the Danube, the sight of the Golubac Fortress’s ten towers is sure to stop you in your tracks. Built in the 14th century at the strategic western entrance to the Iron Gates, the castle controlled river traffic at this key location in the Middle Ages. As such, it’s no surprise Golubac was the site of epic sieges and bloody battles from the Middle Ages on. 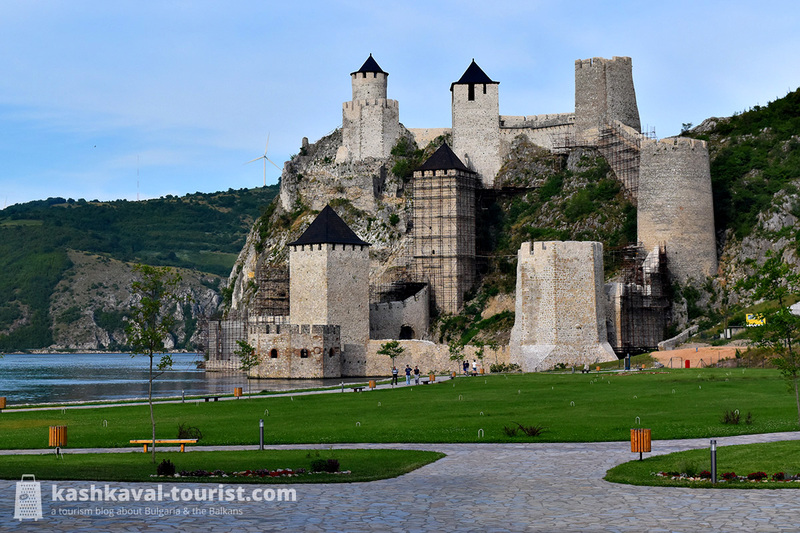 Today, Golubac’s gorgeous location and imposing architecture make it possibly Serbia’s most attractive castle. As of early 2018, entering the fortress’s inner yard was impossible because of ongoing renovation, but you can admire this Danubian bulwark from the surrounding gardens of the modern visitors’ centre. 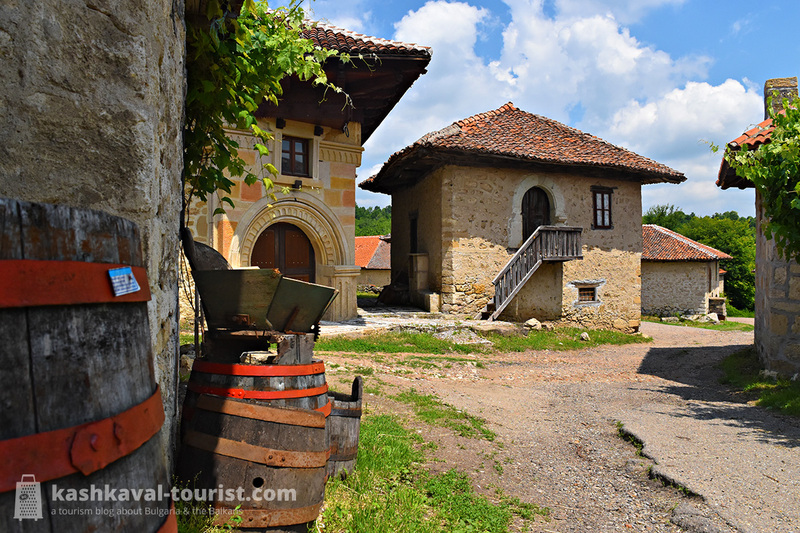 Hidden in this faraway corner of Eastern Serbia are Rajac and Rogljevo, two of the country’s most peculiar and charming villages… namely, villages inhabited not by people, but by casks and bottles of wine and rakia! Okay, admittedly, there’s also people around, but the main inhabitants are most definitely the beverages. These compounds of hundreds of wine cellars with a characteristic stone architecture were established in the 18th century. Then, vine-growing and wine production in the Timok Valley were booming and even French merchants appreciated the quality of the local wines. Today, only a handful of the cellars in Rajac and Rogljevo are open for tastings, but the captivating architecture and the atmosphere of old are still there to be experienced. For a pleasant stay in Rajac, including delightful homemade wine and superb Serbian hospitality, Zoran and Emina Milenović’s bed and breakfast comes highly recommended! With their unique language form, their Central European customs and their Catholic faith, the Banat Bulgarians might be the most outstanding and curious Bulgarian ethnographic group of all. Having lived in the Austrian and later Hungarian lands beyond the Danube (nowadays in Romania and Serbia) for centuries, some of them returned in 1887 and founded the village of Bardarski Geran in northwestern Bulgaria. The Banat Bulgarians brought back their remarkable rural architecture and their distinctive folk costumes with them… as well as some of their ethnic German neighbours. Together, the two communities turned Bardarski Geran into a fascinating representation of their former homeland in the Austro-Hungarian Banat – and a true Banat Bulgarian cultural capital! From the village’s quaint appearance to the unmistakable food and drink and the wild carnival celebrations, kashkaval tourist gives you 5 reasons to visit Bardarski Geran! 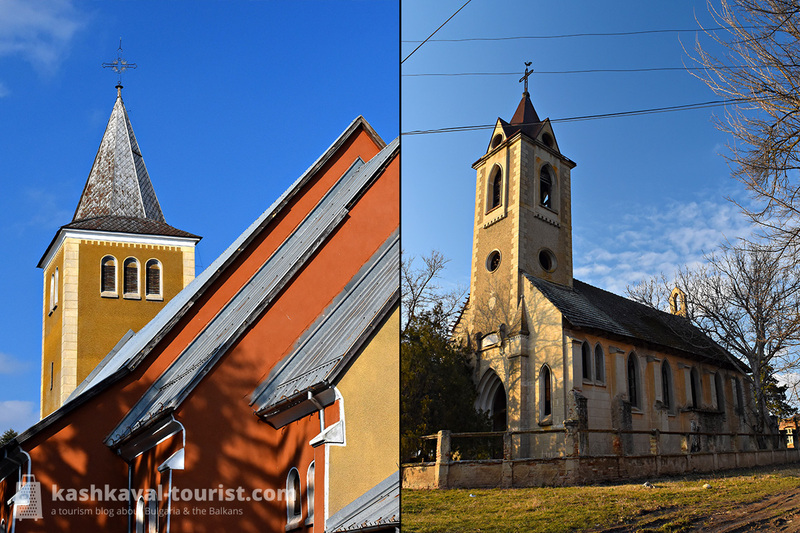 You’d be hard-pressed to find a Bulgarian village with two Orthodox churches, what’s left for two cathedral-sized Roman Catholic churches! Because the Banat Bulgarians and the ethnic German Banat Swabian colonists didn’t quite feel like mixing and formed two separate communities, they also built two separate church buildings in Bardarski Geran. The Church of Saint Joseph, the spiritual home of the Banat Bulgarian parish, truly impresses with its size and its sparse but monumental interior decoration. And the Gothic spire of the German Church of the Virgin Mary, unfortunately abandoned after the Swabians left in the 1940s, is quite the sight for a village in the remote Bulgarian Northwest. Peek through the church’s arched gate and spot the mural portraits of the Slavic apostles Cyril and Methodius with their names written in German! Sure, classic Bulgarian cuisine is a treat in itself. 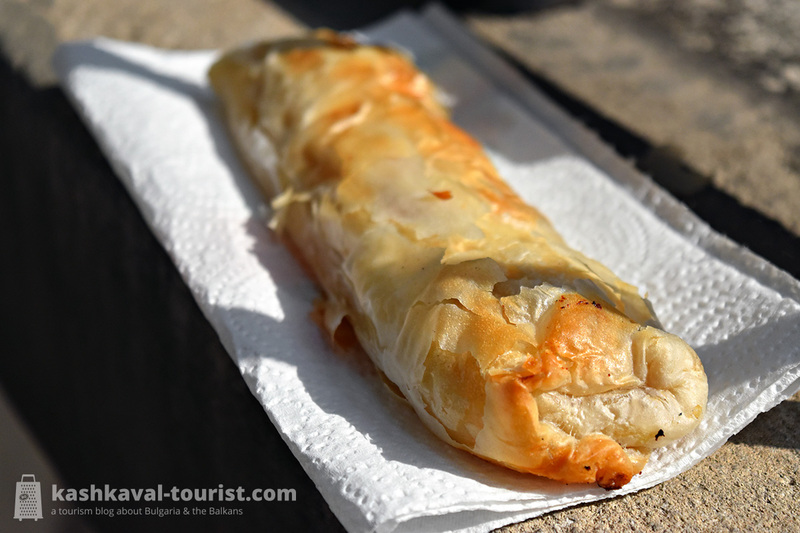 But if you venture to Bardarski Geran, you’ll encounter dishes that you’re unlikely to find anywhere else in Bulgaria. The old recipes from the Banat region show a strong Hungarian influence, and you can get a rare taste of homemade pork paprikash or kalbasa (kolbász) sausages in Bardarski Geran. In fact, after a kalbasa recipe from another Banat Bulgarian village won a nationwide Lidl recipe contest in 2017, the kalbasa sausages have become something of a hit, and will even be offered in Bulgarian Lidl stores. And what goes with some award-winning Banat sausages better than local red wine from the Danube Plain? 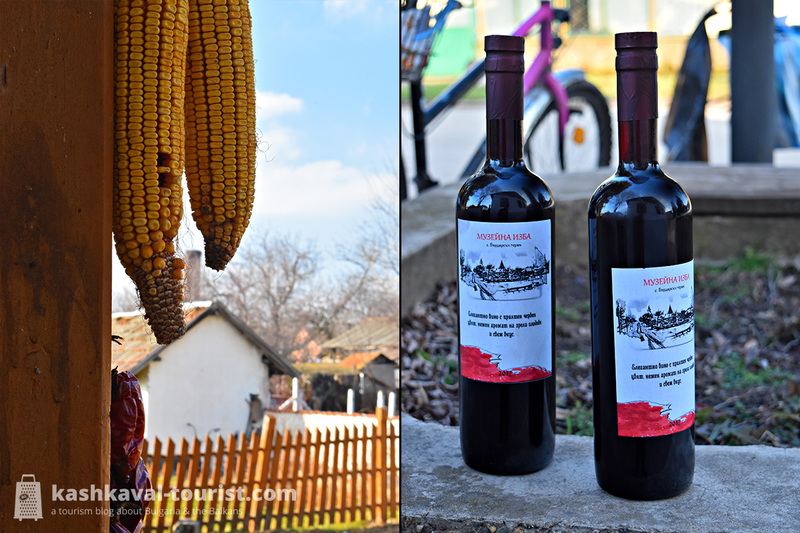 As it happens, the Bardarski Geran museum has its own vineyards and red wine they bottle happens to be the perfect pairing to the village’s unique meat specialties! Labyrinthine bays dotted by little islands, coastal towns drawing you in with their Italianate charm, the awe-inspiring Dinaric ridges above and of course, the calm blue waters of the Southern Adriatic below. Montenegro might be tiny, but its breath-taking littoral ought to be the closest the Balkans have to paradise. Although it might be just a 120-kilometre drive from the Bay of Kotor’s entrance to the sandy beaches of Ada Bojana on the Albanian border, literally the entire coastline of Montenegro is stunningly scenic. 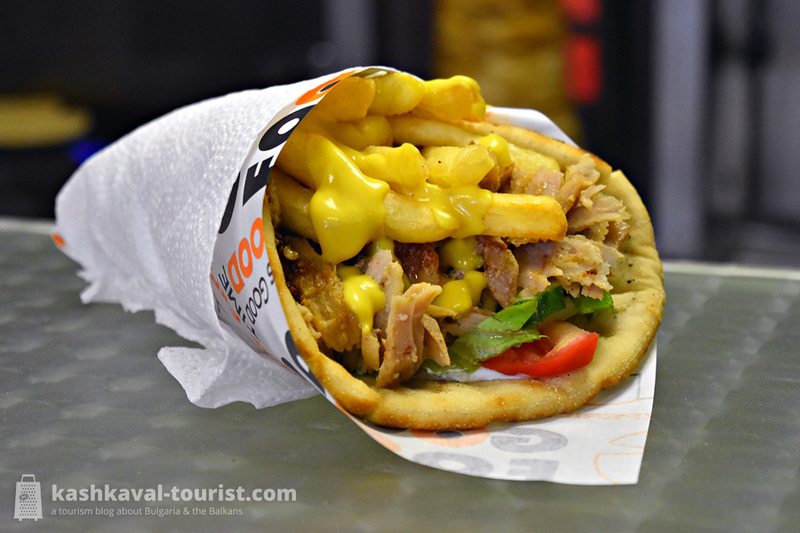 Add to that the allure of the local taverns (konoba) with their mix of Mediterranean and Balkan food, and you’d be hard pressed to ever leave. From a morning walk among some of the oldest olive groves in the world to an evening stroll in the hidden gem of the Bay of Kotor, kashkaval tourist will now take you on a journey to 6 blissful places on the enamouring Adriatic coast of Montenegro! Herceg Novi might be the ancient castle protecting the entrance to the Bay of Kotor from invasion, but it’s a welcoming, benevolent guardian. Its stark medieval fortifications share the streets with gentle Venetian and Austrian-style facades and the menacing slopes of Mount Orjen in the distance are offset by the verdure of palms and fig trees down by the sea. As the first Montenegrin town you’re likely to encounter if you’re entering from Croatia, Herceg Novi is just the perfect place to say hello to the Bay of Kotor’s beauties. Explore the alleys and stairways of the Old Town before an opulent dinner on the promenade. For the finest beaches around, it’s a good idea to hop on a boat tour to a more remote location like Žanjice. 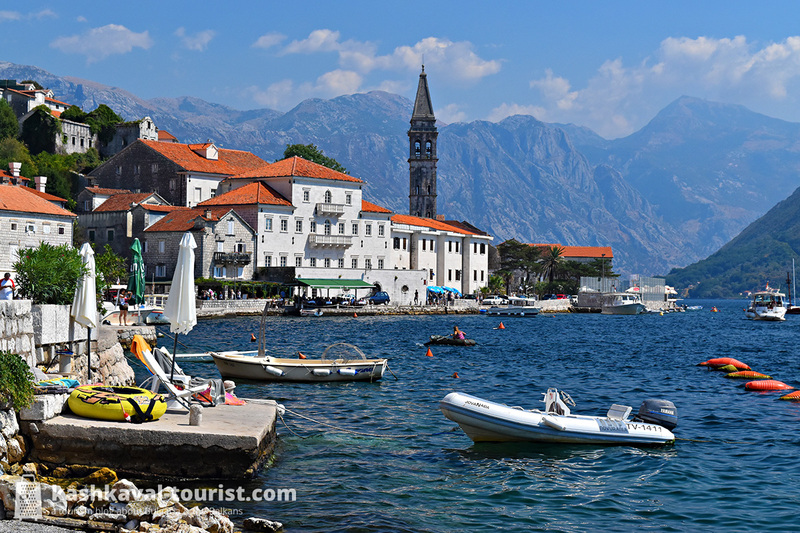 Headed for Kotor or hurrying to Dubrovnik, many visitors are likely to overlook the tiny town of Perast – and that’s the biggest mistake you can make when exploring Montenegro. 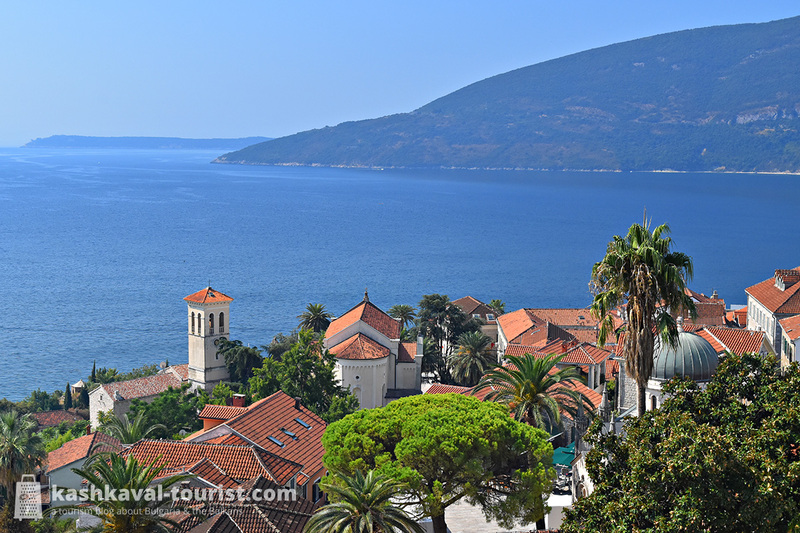 Just a few kilometres north of Kotor, Perast is an absolute hidden gem of Italianate palazzos, graceful bell towers and mesmerizing island vistas. Climb the St Nicholas’ Church tower for an iconic panorama of the Bay of Kotor and the two nearby islets of Saint George and Our Lady of the Rocks. From the promenade, you can easily arrange a boat taxi to the latter island and its Baroque church and museum. Or simply enjoy a glass of rakija with some Njeguški pršut and local olives on the side in a seafront konoba! It’s the Day of Bulgarian Culture! It’s the Day of Bulgarian Culture! Photo credit: Mark Ahsmann, Wikipedia. 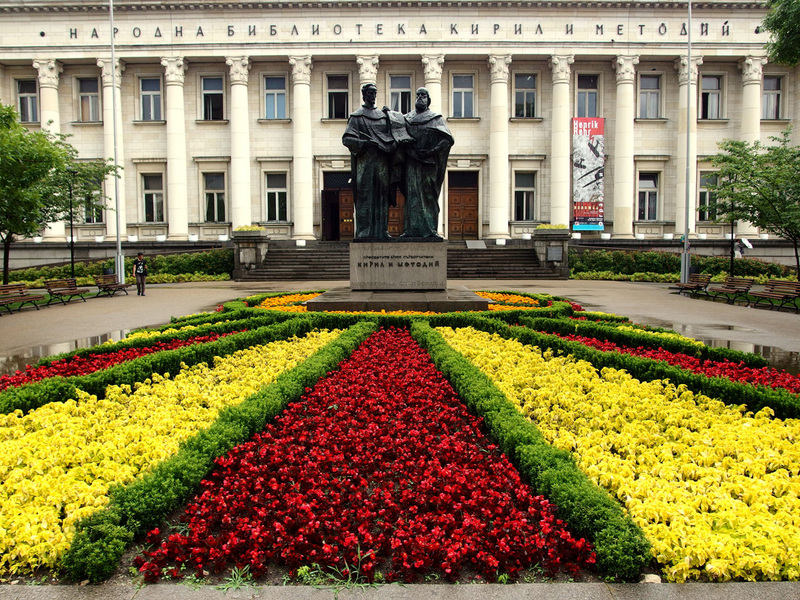 On 24 May, Bulgaria celebrates Saints Cyril and Methodius Day, officially known under the longish name Day of Bulgarian Education and Culture and Slavic Literature. Or rather, it’s the day when Bulgarians honour the invention of the Cyrillic alphabet in 9th-century Bulgaria, an event which effectively marked the beginning of Slavic culture and literature. And for high schools all over the country, this is the time when 12th-graders finish their secondary education and have their prom night. Though this is a night which has little to do with culture and more with questionable fashion choices, binge drinking and reckless activities… but we’ve all been young! So happy Saints Cyril and Methodius Day to all, whether you appreciate Slavic literature or you’re a high school senior, or both!